As you know if you have read my latest book Willpower Condensed, the mind alone is powerless insofar as thinking and doing are always mediated by affective processes. The mind does not motivate behavior; emotions do. This means that when you have geared your mind towards achievement and success, you need an emotion to implement your will. You need an emotion to fuel your willpower, to drive you, to make you take action. Typically, that emotion is pride, the feeling of greatness. No, all of this is not dulled by pride, but driven by it; and if not by pride itself, then by its anticipation. We must, however, distinguish between true pride and false pride. True (authentic, proper) pride is the positive, self-conscious, moral, prosocial (Trumbull, 2010), adaptive (Williams & DeSteno, 2009) emotion you experience when you have proved your competence or accomplished something of value (Tangney et al., 2007). It is associated with effort and high self-esteem (Lea & Webley, 1997). It relates to unstable, controllable causes: “I am proud of what I did,” “I won because I trained hard” (Tracy & Robins, 2007), but can also be other-focused, e.g., in effective leadership or belonging to a great organization (Lu & Roto, 2016). Being earned through real achievement, true pride is tied to goal engagement (Carver et al., 2010). It leads to greater perseverance on onerous tasks (Williams & DeSteno, 2008). Increasing from adolescence into old age, it indicates maturity (Orth et al., 2010). False (hubristic, egoistic) pride, on the other hand, is maladaptive. It is associated with vanity, conceit, pig-headedness, narcissism, and low self-esteem. It relates to stable, uncontrollable causes: “I am proud of who I am,” “I won because I am awesome.” Being based on extrinsic values, false pride is tied to public recognition. It leads to control illusions and self-control failure. Decreasing from adolescence into old age, it indicates immaturity. 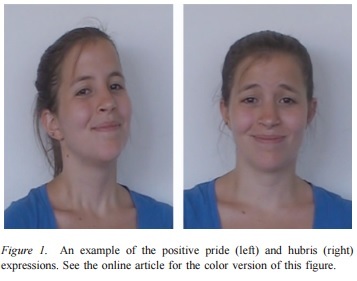 The difference between positive pride and hubris is recognizable in facial expressions (Nelson & Russell, 2014), even by children (Nelson & Russell, 2015). While false pride hypes and exaggerates, true pride is rational and proper. According to Mr. Holiday, however, pride is “even in real accomplishments […] a distraction and a deluder.” This might well be. In fact, it is this very possibility—this danger—that makes Ego Is the Enemy such a worthwhile book. Yet we should not neglect the temporal direction of pride: past, present, and future—as time affects pride’s impact quite a bit. Moreover, true pride comes in many shapes and forms: some are subtle, others not so much. Let us first consider the more obvious forms. When you have accomplished something of true value for yourself and others, then the pride you feel is true. I cannot imagine Mr. Holiday feeling bad about himself the day he finished writing his book. He might call it happiness (“behind every goal is the drive to be happy,” he writes), but it really is pride, because happiness is not connected to goal achievement. Or look at an athlete yelling and raising his arms to assume a power pose upon victory: look at his face and you will see the face of true pride. Sure, even an earned feeling of greatness may devolve over time into ego-identification with one’s greatness, but the feeling of pride itself in the moment of victory is not false pride, is not a spawn of the ego, is not an imperative to feign humility. In fact, humility is often just a mechanism of intellectual pride by which people lower themselves to raise themselves. Which brings us to the more subtle forms of true pride, because intellectual pride can just as well be genuine. How do you feel after you have asked a good question or come up with an original idea? Does this not make you feel good about yourself? This is true intellectual pride. Should you suppress it? No. 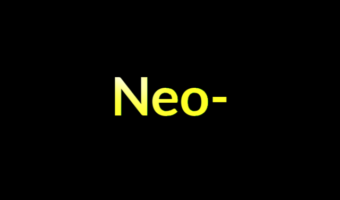 Your ego assimilates that feeling only if you add the thought that you are better, more creative, or more intelligent than others, or if you tie it to how your question or idea is received by others. You do not have to do that. You can take pride in your mind without inflating your ego, and you can additionally take pride in non-inflation. Some people do so almost incessantly, do you not? Do you not feel proud when you think a humble thought or do a humble deed? Do you not take pride in keeping your ego in check? Do you not experience a little pride when you catch yourself getting sidetracked by your ego? What a mindful catcher you are! To make ego the enemy is in itself an endeavor of intellectual pride. What is that sparkle in your third eye? We fight against our egos with swords of genuine pride. Suppressing our pride will not make us saints, but hypocrites. There is no striving, no goal setting, no succeeding beyond the emotion of greatness. The mind’s desire to pursue goals and to grow is barren without pride. While we may let our egos rot along with vanity and conceit (Mr. Holiday’s book illustrates well why it is useful to do so, although it might not be), we still need true pride, especially its anticipation, to empower and do our True Will. Carver, C. S., Sinclair, S., Johnson, S. L. (2010). Authentic and hubristic pride: Differential relations to aspects of goal regulation, affect, and self-control. Journal of Research in Personality 44(6), pp. 698-703, doi: 10.1016/j.jrp.2010.09.004. Lea, S. E. G., Webley, P. (1997). Pride in economic psychology. Journal of Economic Psychology 18(2-3), pp. 323-340, doi: 10.1016/S0167-4870(97)00011-1. Lu, Y., Roto, V. (2016). Design for Pride in the Workplace. Psychology of Well-Being 6(6), Epub, doi: 10.1186/s13612-016-0041-7. Nelson, N. L., Russell, J. A. (2014). Dynamic facial expressions allow differentiation of displays intended to convey positive and hubristic pride. Emotion 14(5), pp. 857-864, doi: 10.1037/a0036789. Nelson, N. L., Russell, J. A. (2015). Children distinguish between positive pride and hubris. Developmental Psychology 51(11), pp. 1609-1614, doi: 10.1037/dev0000048. Orth, U., Robins, R. W., Soto, C. J. (2010). Tracking the Trajectory of Shame, Guilt, and Pride Across the Life Span. Journal of Personality and Social Psychology 99(6), pp. 1061-1071, doi: 10.1037/a0021342. Tangney, J. P., Stuewig, J., Mashek, D. J. (2007). Moral Emotions and Moral Behavior. Annual Review of Psychology 50, pp. 345-372, doi: 10.1146/annurev.psych.56.091103.070145. Tracy, J. L., Robins, R. W. (2007). The psychological structure of pride: A tale of two facets. Journal of Personality and Social Psychology 92(3), pp. 506-525, doi: 10.1037/0022-3514.92.3.506. Trumbull, D. (2010). Hubris: a primal danger. Psychiatry 73(4), pp. 341-351, doi: 10.1521/psyc.2010.73.4.341. Williams, L. A., DeSteno, D. (2008). Pride and perseverance: the motivational role of pride. Journal of Personality and Social Psychology 94(6), pp. 1007-1017, doi: 10.1037/0022-3514.94.6.1007. Williams, L. A., DeSteno, D. (2009). Pride: adaptive social emotion or seventh sin? Psychological Science 20(3), pp. 284-288, doi: 10.1111/j.1467-9280.2009.02292.x. Now Ryan Holiday unpacks those lessons and reframes them for today\’s world, building on the wisdom of the ancient Stoics and a rich trove of examples.